Making a pizza at home does require a good oven but apart from the oven, you really need to have the best homemade pizza dough recipe that would help you make an excellent pizza base once cooked. The base has to rise perfectly(not as much as bread) after being cooked and the bottom has to be crisp with the gooey cheese on the top along with the perfectly cooked toppings. 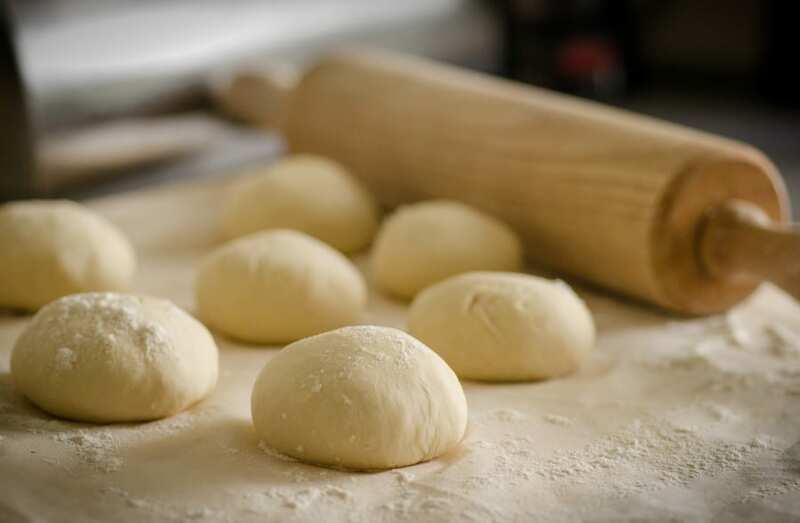 It did take me some time to master the perfect dough recipe and initially when I started making the dough at home, I must say the pizzas did not turn out that great. 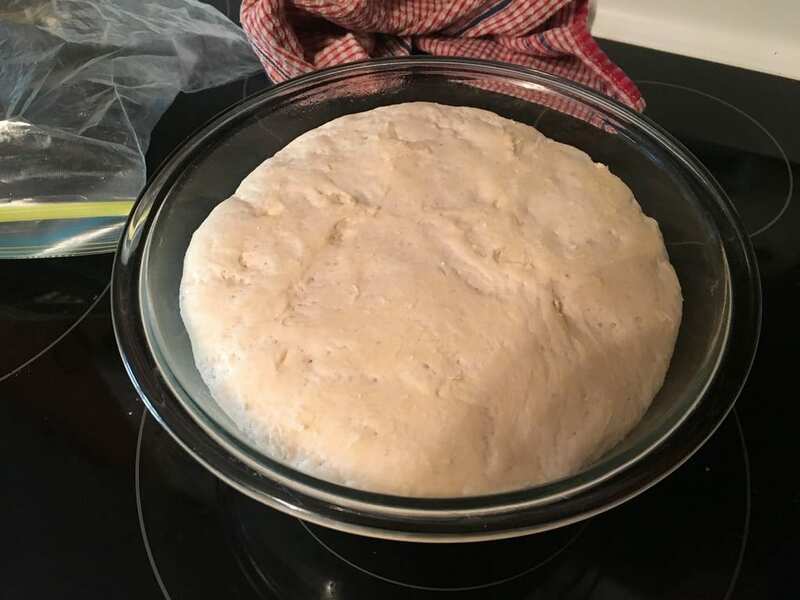 The dough was very soggy in the centres although and it was cooked perfectly at the corners, not just that they were not cooked that well throughout and the base was flat and did not rise at all. So, if you are looking to make a nice pizza base then you should check out this recipe which I have been using for quite sometime and getting the perfect pizza base. It is really easy and I have tried it myself and have been loving the way the pizza base gets cooked. 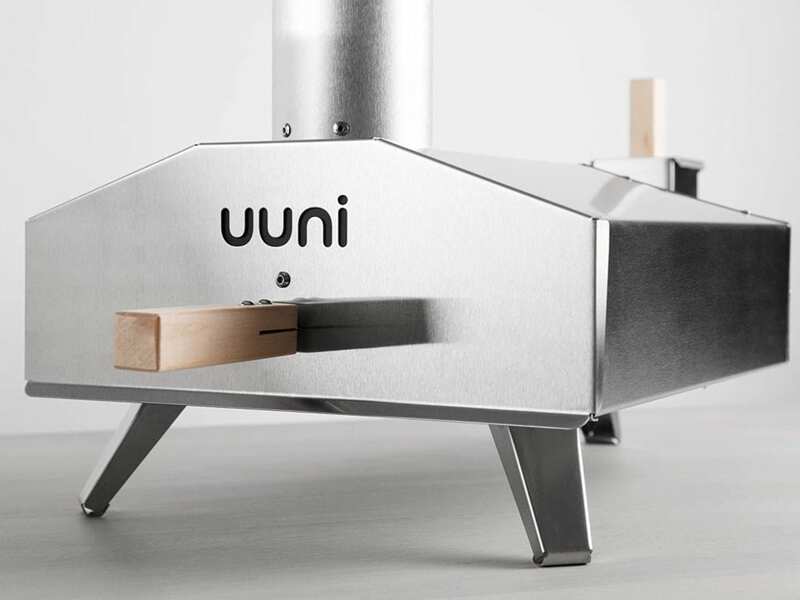 I use the Uuni 3 Pizza oven with this base to get the perfect wood-fired pizza oven flavor. If I want to get some cooking done indoors then I use my Black and Decker Oven to get the pizza cooked to perfection. However, if you are looking for some affordable pizza ovens then do read our post on affordable pizza ovens for home. 1. Take 50 ml of warm water in a cup. Make sure that the water is just warm and not hot as really hot water will not support the fermentation of yeast. Now add the yeast and sugar in the cup and mix them with a spoon, cover the cup and let the mixture rest for sometime. 2. In another bowl, you can take the refined flour and add salt, Galic powder and mix it thoroughly. 3. Now after 15-30 minutes, you need to check the yeast mixture and you would find froth on top, this means that the yeast in undergoing fermentation. Now add this to the bowl with refined flour and add the oil and water and knead the dough. 4. 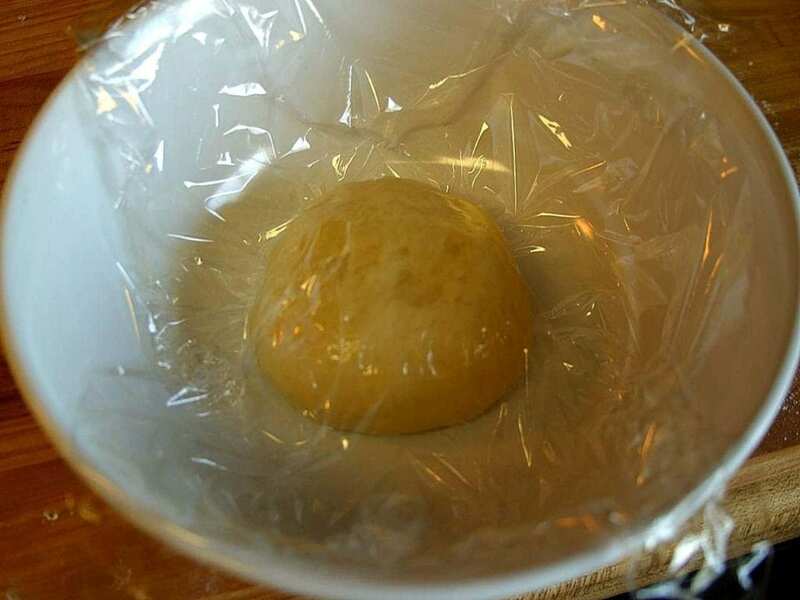 Once you are done, you need to cover the dough and leave it overnight or around 24 hours. 5. Your pizza dough would double or triple in volume the next day. Now your dough is ready, get ready with your sauce, favourite toppings, and some cheese to make the perfect tasting pizza. This process literally takes me less than 5 minutes, just that you need to wait for the yeast to begin fermentation, but you can easily do some other work at the time and come back and add all the ingredients and knead the dough. So making the pizza dough can be as simple as that. We should touch up on a few mistakes that are common and a few of them that I made while cooking the base. 1. Did not wait for the yeast to undergo fermentation- It is really important that you wait for the yeast to undergo fermentation. You have to make sure that you see some froth on top else you would not get your perfectly cooked pizza base. 2. Cook the pizza at the right temperature- Yes, this was another common mistake that I did, I cooked the pizza at a lower temperature and that made my base not so good. You need to cook the pizza at least 375-degree Fahrenheit or more to get the perfectly cooked base. 3. Cook for the right time- Yes, you need to cook the pizza for the right amount of time else, it would not be cooked in the center. Cook the pizza according to the oven temperature and if you are using a wood-fired pizza oven then it would cook in 60 seconds but if it is an electric oven it can take upto 20 minutes to cook. 4. Do not add salt in the yeast and sugar solution before fermentation. You might want to add salt after the fermentation is done and you have added the solution to the refined flour bowl as the salt inhibits the fermentation process. Hope you make the perfect pizza dough and if you found this post helpful then do share it on social media! If you have anything to add then let us know in the comments below! Do share with us your unique pizza base recipe as well! Wisco 421 pizza oven is probably one of the best electric pizza ovens for home. If you are looking a small, compact electric pizza oven that would fit anywhere and would make amazing pizzas then you have to read this review. The Wisco Pizza oven is probably one of the best when it comes to cooking pizzas, wings, onion rings, Mozeralla sticks, re-heating sandwiches. Basically, you can do a lot with the pizza oven than just making pizzas. The pizza oven is portable and you can easily find some space for it on your countertop. It is a medium-sized portable electric pizza oven for your kitchen and can make delicious pizzas for you and your family. 1. The pizza oven is small and portable, it fits almost anywhere and you can easily move it around the house without any additional help. 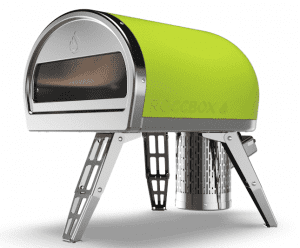 It is an electric pizza oven, so you might want to keep it somewhere near a plug point. 2. You can cook as big as a 12-inch pizza and since the oven comes with digital controls, you can easily set the time and temperature for the pizza. You can easily cook other dishes as well and we have tried cooking mozzarella sticks, some quesadilla, and re-heating a few things. 3. Most of the dishes cooked pretty well inside the oven. You can cook the pizza on a perforated pan if you wish to and they would come out cooked pretty well with a crisp base and at the same time perfectly cooked toppings. 4. Honestly, they work really well with frozen pizzas as all you need to do is pop them on the rack and set the timer on the oven. They get cooked perfectly, making the oven a good option for someone who is a working mom or stays alone and has no time to cook. 5. You can basically cook a pizza within 7-8 minutes inside the pizza oven and this is for a thin crust pizza. If you have a thick crust it might take some time longer but overall the cooking is really quick for an electric pizza oven and you would not be disappointed with the performance. 6. Overall, we felt that the oven was value for money as you could easily cook pizzas within a few minutes and you can even cook other snacks items inside the oven. The pizza tastes really good and with the right recipe, you are going to make some amazing pizza crusts inside the oven. 7. Something that is great about electric pizzas is that you do not need to turn the pizza while cooking as they get cooked evenly without any intervention, this is so not the case in a wood-fired pizza oven. So, basically in this oven you can just insert your pizza and leave it and come back only when the timer goes off. 8. Maintaining the pizza oven is easy as well since all that you need to do is clean the insides and the tray in which you cook the pizza. You can easily wipe off the oven with a damp cloth so maintaining it should not be an issue whatsoever. 9. You can start cooking the pizza when you receive the pizza oven, there is no setup involved or no tempering of wood involved as in the case of a few ovens. You just need to plug in the oven and get started with the cooking. 1. You can cook one pizza of 12 inches at a time, so if you are looking for an oven that can cook multiple pizzas at the same time then you might want to check out the wood-fired pizza oven section where the ovens are huge and can cook more than one pizza at a time. 2. 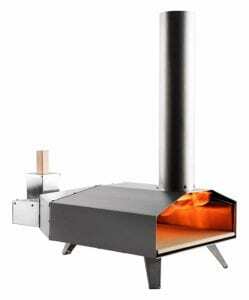 Since it is an electric pizza oven, you will not get the taste of the wood-fired pizza oven. If you really need that you can keep a small pot of burning wood inside the oven while cooking the pizza or if that is not possible then you can get one of our favorite affordable wood-fired pizza ovens Uuni 3. 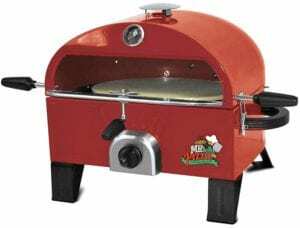 The Wisco pizza oven is a total value for money device and it is perfect for someone who is looking for a pizza oven for their home. You can easily cook a thin crust pizza within 5-6 minutes and depending on the crust it can take a little longer to cook the thick crust pizzas in this oven. The pizza oven is light in weight and compact so you can store it anywhere you want and you can easily move it around your home as well. We find the pizza oven to be an amazing investment for someone who wants to cook pizza for their family or someone who is just a working individual and wants to just pop in a frozen pizza from time to time so that they do not have to prepare any meal from scratch. 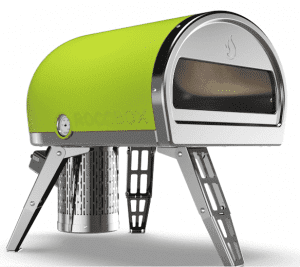 Do check out this pizza oven from Wisco and let us know your thoughts in the comments down below! If you have any experience with the pizza oven then do share it with us as it would help our readers to make a better purchase decision. Liked the post? Do not forget to share it on social media! 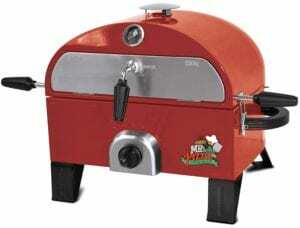 Mr. Pizza, pizza oven and grill is probably the most versatile countertop pizza oven. You can use it as a pizza oven and grill both at the same time and you can cook and grill a lot of food at once on this pizza oven. We are glad that we came across this pizza oven as it has a lot of positives. 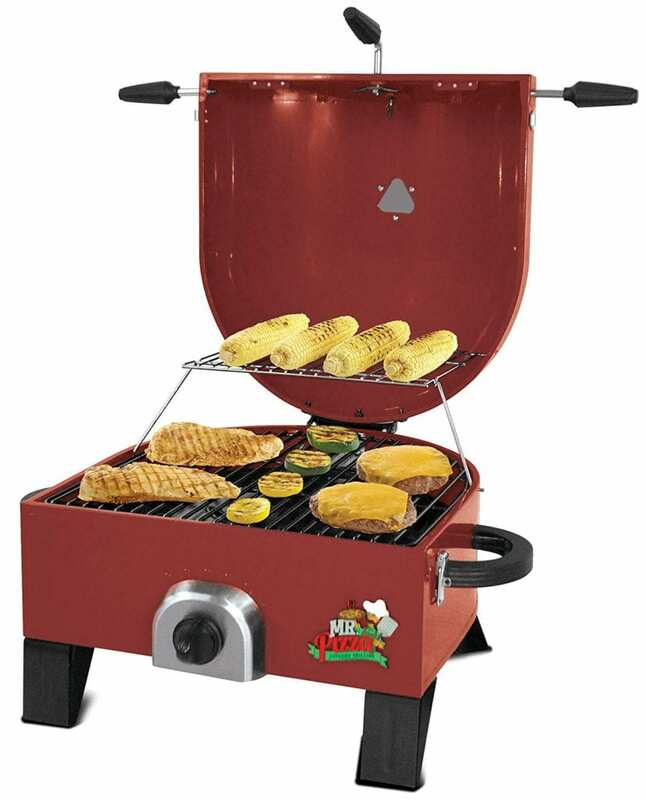 It is a great option for someone who is looking for an oven that can be converted into a backyard grill as well. The pizza oven can be kept on a stand that comes with the oven or you can choose to remove it from the stand and keep it on the counter. This portability enables you to take it on camping trips along with you. The pizza oven is really great when it comes to cooking pizzas and it is pretty wonderful to see the easy to use design which converts it into a grill within a few seconds. It is fascinating that it took me a while to figure out that it was the same oven that is being used as a grill. Yes, the oven acts like a convertible hence you can cook or grill according to your liking. The pizza oven is so versatile that we liked a lot of things about it, let’s break down every point so that you can understand the functionality of the pizza oven better. 1. 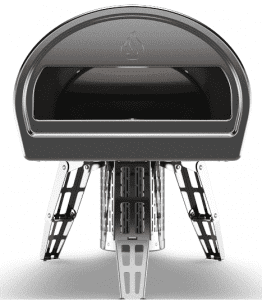 The pizza oven is portable and there is no setup process that you have to go through. Once you get the pizza oven at home, all you need to do is connect it to a propane tank and get started with cooking. 2. The pizza oven comes with a baking stone, which you can insert inside the oven and place your pizza on the baking stone and close the pizza oven. The baking stone ensures that the pizza gets cooked evenly from the base and your pizza is amazing. 3. The oven comes with a thermometer so you can easily keep a check on the temperature inside the pizza oven. 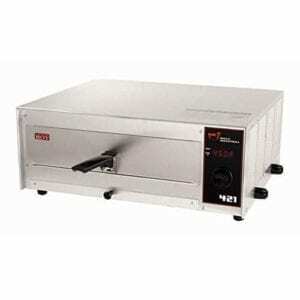 This way you can maintain the perfect temperature inside the oven that is needed to cook the perfect pizzas. 4. The oven easily converts into a grill as you can remove the top of the oven and it opens up into a grill. You can easily cook 7-8 burgers at once without any issues. The size of the pizza oven is pretty good to grill meat for an entire family. 5. The oven has a cover which you can close while cooking a pizza so that the pizza gets a hot chamber in which it can cook easily. The handle to the cover is insulated which makes it really easy to pull it open and check on the pizza every now and then. 65. You can easily take it on a trip and the size of the pizza oven is perfect to feed a group of 6-7 easily. You can actually entertain a lot more people if you plan on cooking in batches. 7. Overall, the pizza oven is amazing to cook with and you can easily cook all the dishes within few minutes without any issues. We really liked the pizza oven as it is versatile and can take on cooking almost anything including quesadilla, burgers and more. 1. You can just cook one pizza at a time and this might be a con for a few people but other than this it is really amazing to work with this pizza oven as it has one of the best features any pizza enthusiast could as for. 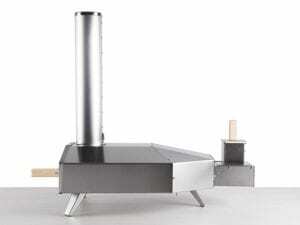 If you are looking for a pizza oven and a grill combo then this pizza oven is the best that you can get. 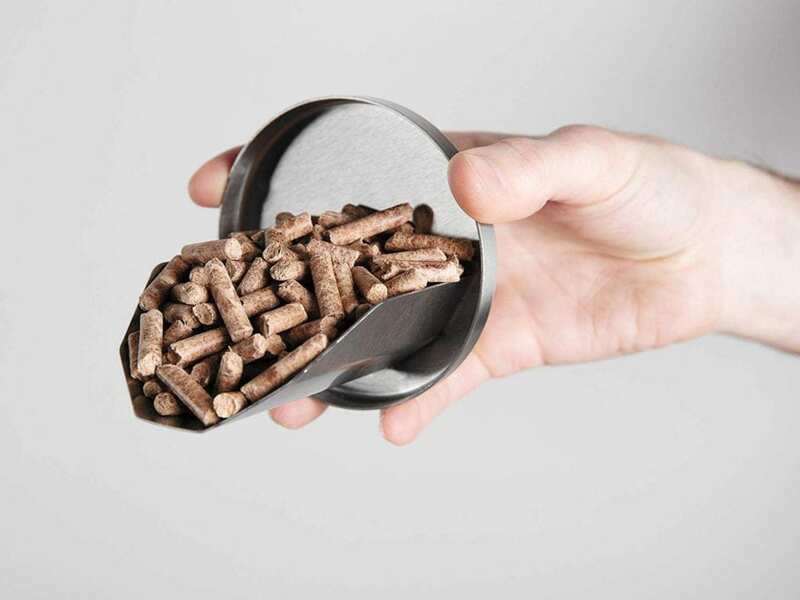 It is portable, reasonably priced and the best part it cooks everything in a few minutes. 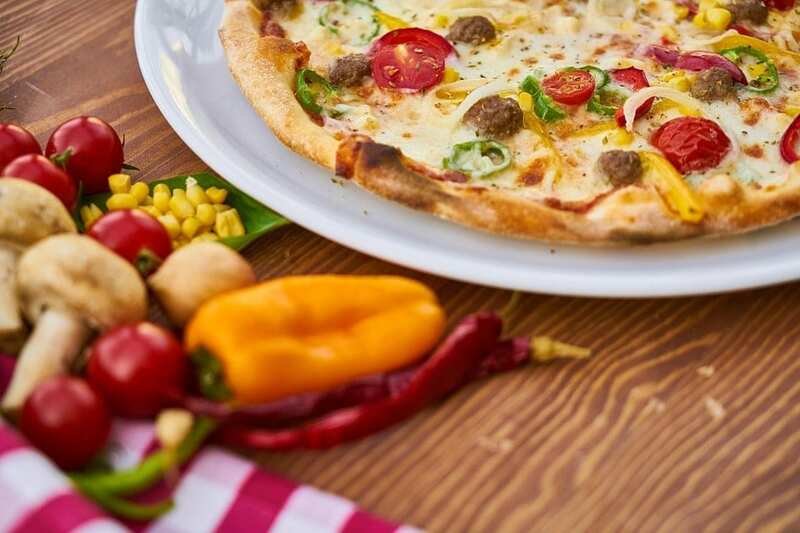 The pizza oven is gas-fired and yet it cooks the most delicious pizzas which have a crispy base and a soft and gooey cheese on top with the perfectly cooked toppings. If you want the wood-fired pizza taste then you can keep a small bowl of burning wood inside while cooking the pizza for a few minutes. This would help you get that flavor without cooking the pizza in a wood-fired pizza oven. Since the pizza oven is portable you can take it tailgating as well, you might want to carry a propane tank but that’s all. One person can easily carry this pizza oven making it really easy for a person to manage the oven and take it to their trips. It is so easy to use that you can even take it on your solo trips in your car and cook delicious pizza wherever you want. The best part you can just open up the oven, remove the baking stone and voila! You have your own grill now. If you are thinking about keeping it in your backyard then you can easily get the stand that comes as plus one with the oven. You can keep it on the stand and if you want to take it on trips, you can easily pick it up leaving the stand and place it in your car. We are highly impressed with the pizza oven and would recommend it to anyone who is thinking about getting a 2 in 1 pizza oven. Do check out the pizza oven and let us know what you think in the comments below!